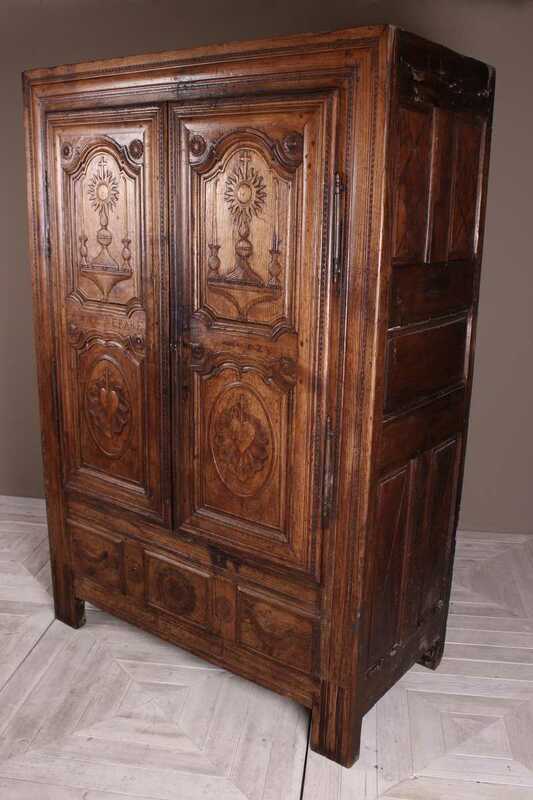 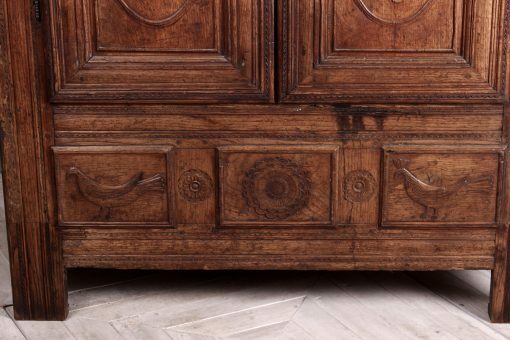 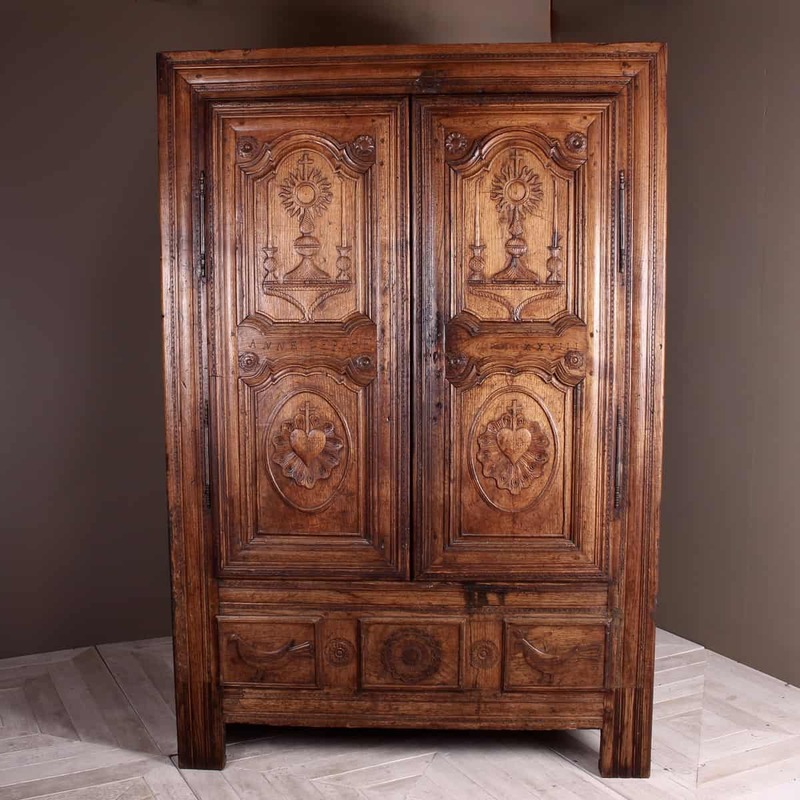 A lovely eighteenth-century French Breton Oak Wardrobe or Cupboard possibly from Quimper a city in Brittany, northwest France. 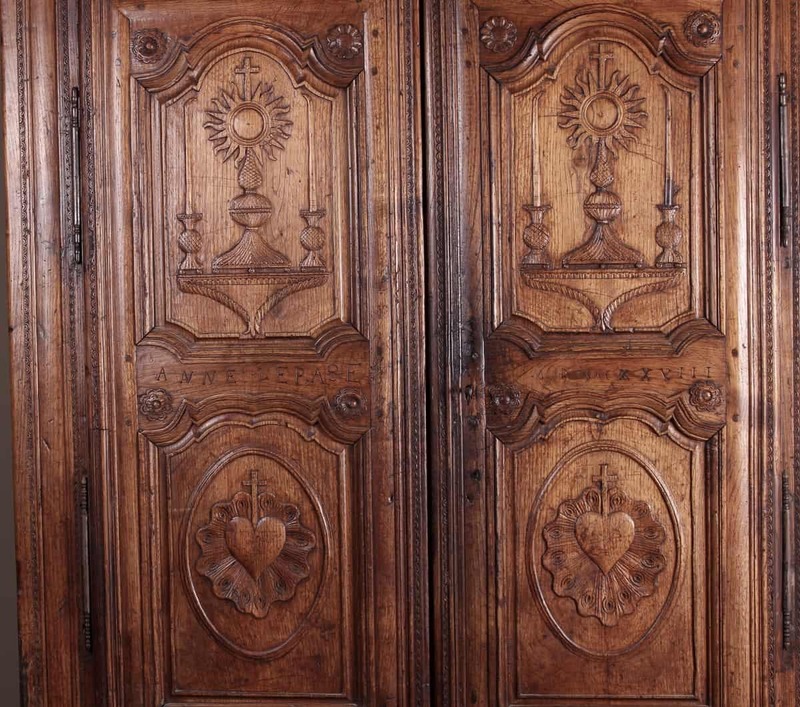 Both doors beautifully decorated with carved religious symbols to upper and lower sections, featuring hearts, candles and sun symbols. 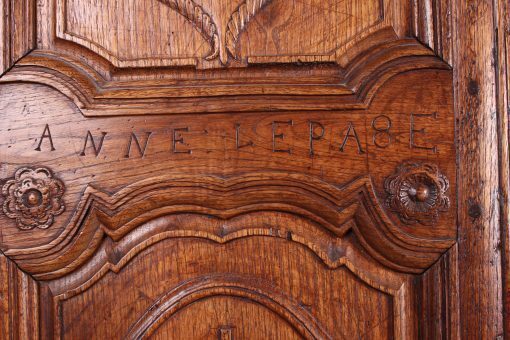 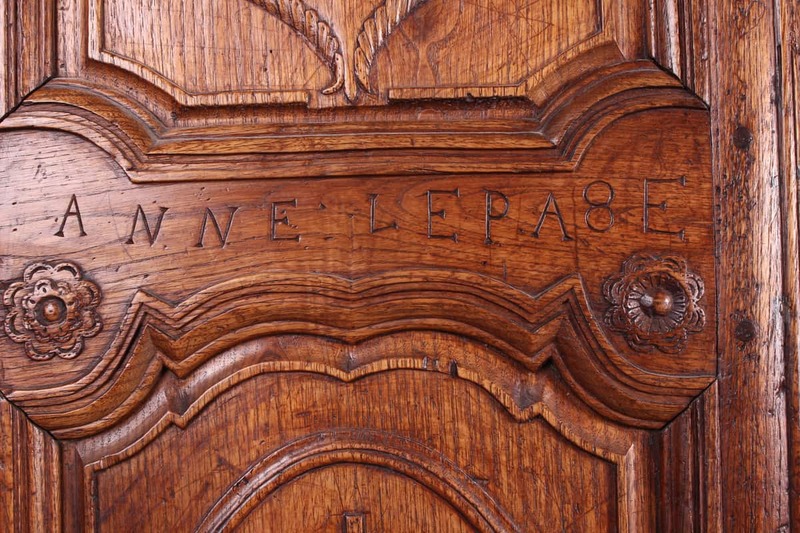 There is a name and a date incised on each door, Anne Lepage 1728, possibly the owner or benefactor. 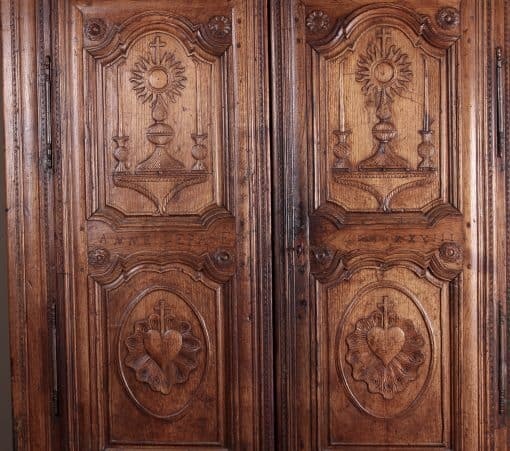 The lower section with three carved panels interspersed with delicately carved petal heads. Having a wonderful rich colour and beautiful patina. 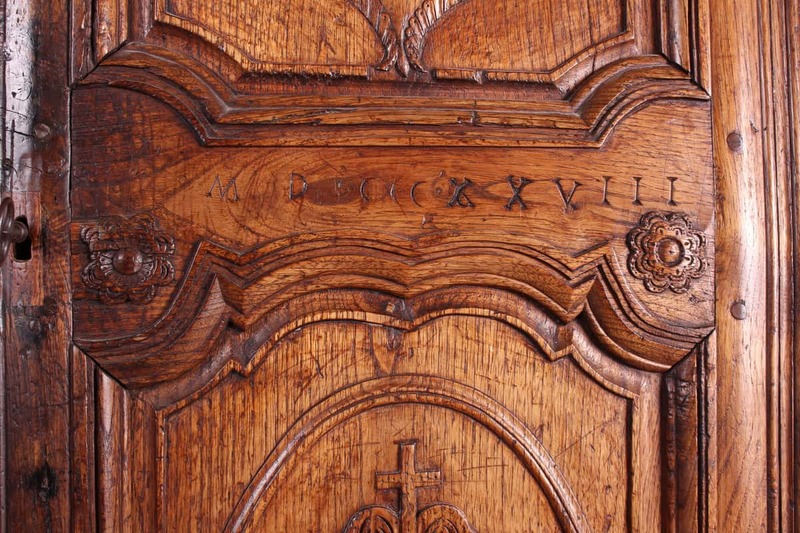 The door has a working lock and key. 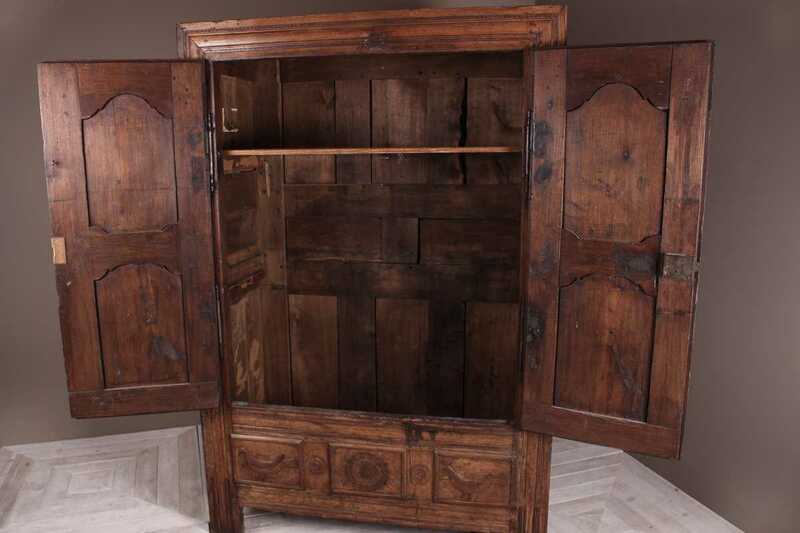 The cupboard currently has one shelf inside but this could easily be altered to add further shelves or perhaps a clothes rail added to the top with shelves below. 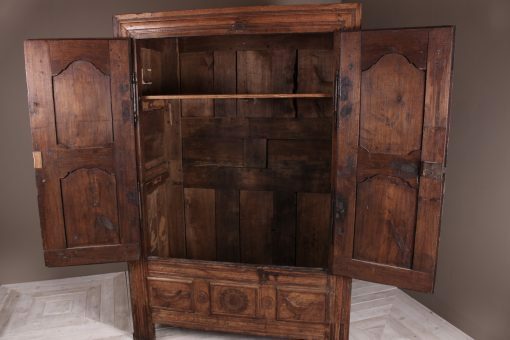 A truly beautiful thing to behold that would grace any interior. Dimensions: 130cm W x 194cm H x 65cm D.